Casement windows crank out like a door on a hinge. They can open outward either to the left or right, and can be joined together (mulled). It is not uncommon to see double casement and triple casement combination. An awning window is similar to a casement turned on its side, except that it has different hardware. This special hardware allows it to hinge at the top and open toward the outside from the bottom. Casements and awnings can be combined in many ways to create very dramatic palladian-style window walls. 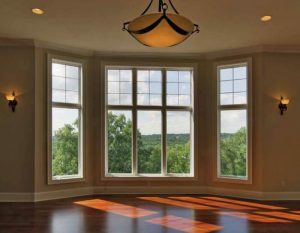 The combination window walls can improve the entire look and feel of your home. 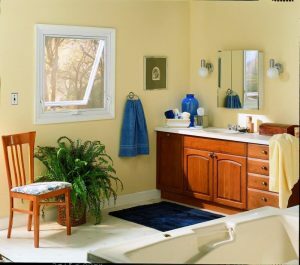 When closed and locked, the casement window is secured with a continuous interlock system.